Mini Bath Pink is an 8” baby doll with non-removable flippers. 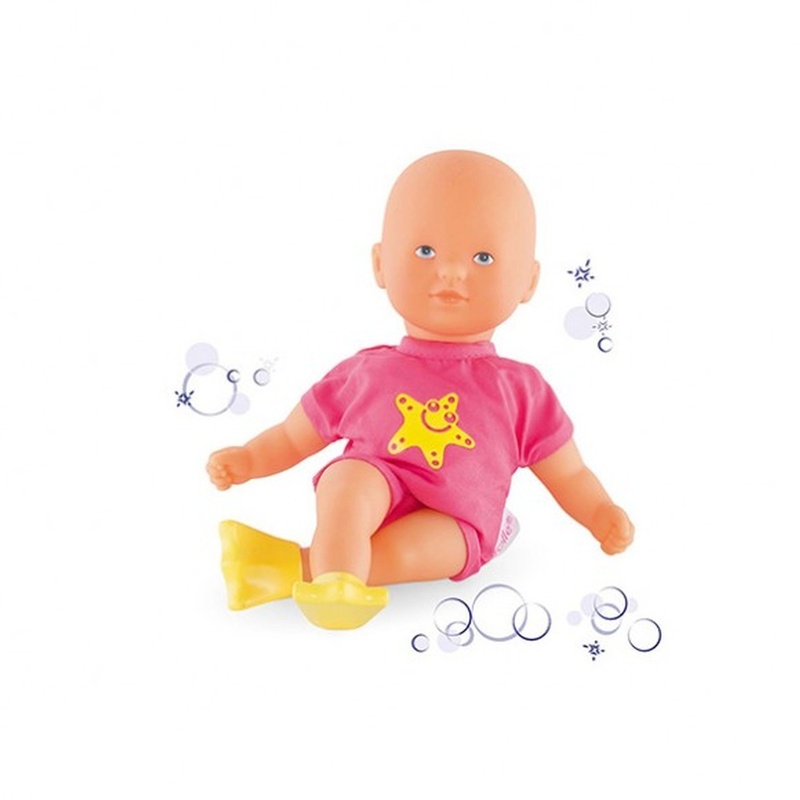 A lightweight mini-doll that can be taken everywhere you go, and the perfect companion for your child's daily bath or for swimming in the pool or sea. The doll's face, arms and legs are made of delicately vanilla-scented, soft-touch vinyl. Painted eyes. mon premier poupon Corolle: small baby dolls with their own clothes and accessories so even little ones can have early nurturing time.